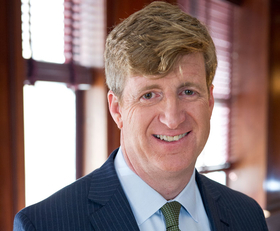 Patrick Kennedy, son of the late Sen. Ted Kennedy, co-sponsored the 2008 Mental Health Parity and Addiction Equity Act while serving as a Democratic congressman from Rhode Island. In 2013, he founded the not-for-profit Kennedy Forum to support parity in health insurance coverage for behavioral and addiction treatment and advance evidence-based practices. Kennedy, who wrote a 2015 memoir about his and his family’s struggles with mental illness and addiction, currently is pushing regulators and large employers to crack down on insurers that discriminate against people who need behavioral care. Kennedy recently spoke with Modern Healthcare senior reporter Harris Meyer. The following is an edited transcript. Kennedy: We started ParityTrack.org to develop a 50-state scorecard on statutory laws, regulations and processes, and case law. In October, we and other groups released a scorecard that assigned failing grades to 32 states. Now we have ParityRegistry.org, a system to track parity complaints. It’s also a guide for people to file appeals against insurers that wrongly deny coverage. We don’t want state legislators to think that just because they voted for a parity law, that’s enough. We want them to vote for fair housing, recovery supports, good coverage laws and strong enforcement. MH: What will be the impact, if any, of the federal class-action ruling in March that found United Behavioral Health, the nation’s largest behavioral health insurer, breached its fiduciary duty under the Employee Retirement Income Security Act? The judge said United used unreasonable and overly restrictive guidelines to make coverage decisions for tens of thousands of mental health and substance abuse patients? Kennedy: We sent letters to state regulators, congressional leaders and the Fortune 100 companies to remind everyone that insurers and employer health plans have a fiduciary responsibility under ERISA to comply with the federal parity law. I’ve talked to the governors of Illinois, Rhode Island and Connecticut, and they are starting to conduct market reviews of United’s practices and policies. United just ruined it for themselves and all their colleagues. The onus will be on insurers now. Kennedy: Right now patients are finding providers through ads on TV and the internet, and that’s a failure for both patients and insurers. Payers haven’t focused enough on this issue to drive care to the evidence-based models we know work. Why haven’t they said, “Come in-network. We have these options without high deductibles and copays. They take care of you after your inpatient stay, and many of you won’t even need inpatient care because we’ll have caught this early.” United actually has a platinum designation for providers that meet their criteria for excellence. But amazingly, no one knows it exists.